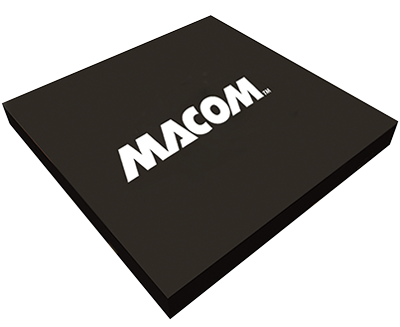 MACOM’s MAAM02350-A2 is a wideband, MMIC amplifier housed in a small, lead-free, 8-lead ceramic package. It includes two integrated gain stages and employs resistive feedback to obtain flat gain and a good, 50-ohm, input and output impedance match over a very wide bandwidth. The MAAM02350-A2 operates from a single +6 V supply. It is monolithic, requiring only DC blocking capacitors, no other external components are needed. The MAAM02350-A2 functions well as a generic IF, driver or buffer amplifier where high gain, low noise figure, excellent linearity and low power consumption are important. Because of its wide bandwidth, the MAAM02350-A2 can be used in numerous commercial and government system applications, such as wireless communications, EW and radar. The MAAM02350-A2 is manufactured in-house using a reliable, 0.5-micron, GaAs MESFET process. This product is 100% RF tested to ensure compliance to performance specifications.